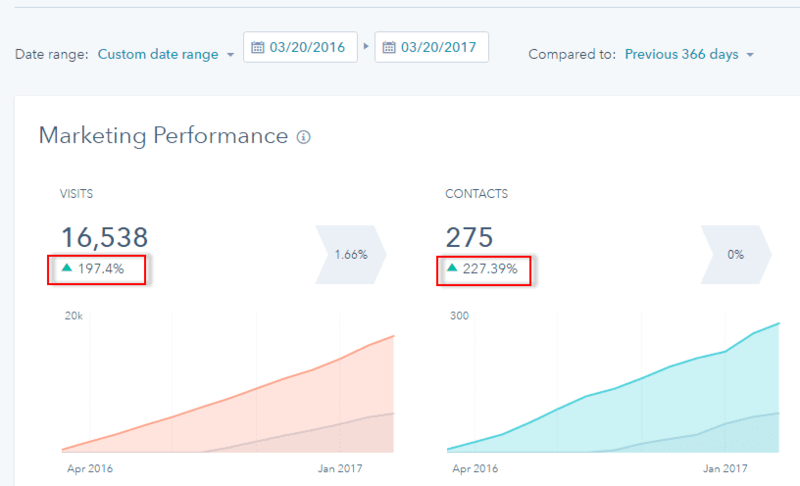 Over the last 12 months we have increased the web traffic by over 100 percent and also increased the conversion by over 100 percent. Dr Naveen Somia is a well-known plastic surgeon in Australia specialising in Eye lid/bag surgery and breast reduction. 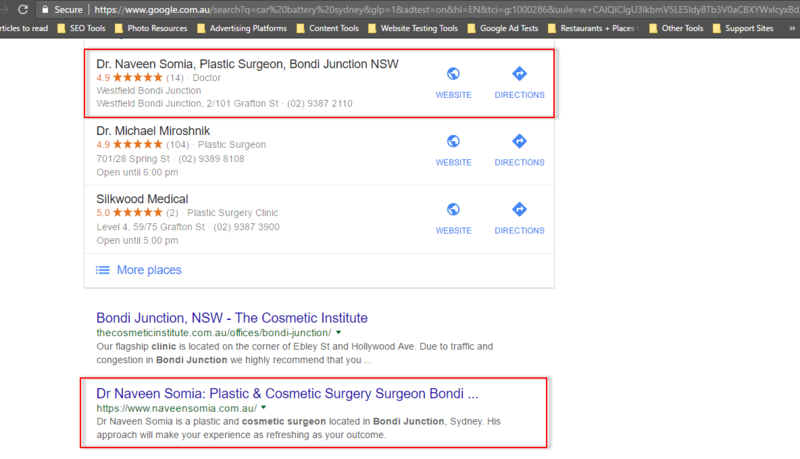 In early 2016, Dr Naveen Somia decided to seek external help from a professional SEO agency who could take on the online presence of the practice. 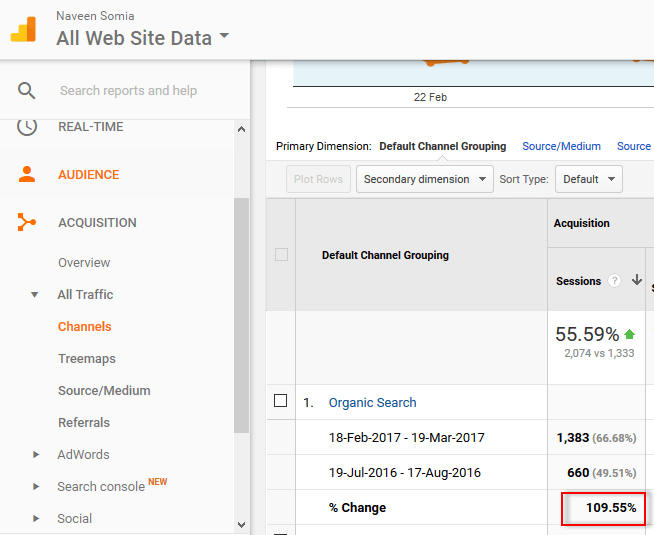 Following a recommendation to Dr Naveen from Jeff Bullas – a world famous Digital Marketing Strategist and after a thorough interview and background check, Result Driven SEO were commissioned to work on Dr Naveen Somia’s website. An increase of 109% in monthly web traffic to Dr Naveen Somia’s website. This is critically important session that allowed us to give Dr Naveen Somia a clear direction for their online marketing activities, resources and to establish a clear pathway to reach their business goals. We sat down with Dr Naveen Somia, and gained some fundamental information about the practice: target patients, key services, their niches, differences, strengths, weaknesses, threats and opportunities from the market, and we used this information to devise a custom online marketing strategy for Dr Naveen Somia. Where do these competitors advertise? How is their advertising working? Which are their biggest website traffic referral sources? SEO Strategy: what keywords are they targeting, where do they build links, where do they promote their websites? Gaining an insight into what competitors do and how competitors they do it gives our team and the client directions on how to surpass them. After conducting extensive research on the industry and Dr Naveen Somia’s biggest competitors, and also after interviewing Dr Naveen Somia himself, we were able to identify Dr Naveen Somia ’s biggest strengths and value proposition, and the key points of difference compared to the competition. We then highlighted these key selling points on the website home page and all subpages to ensure that their target prospects would be able to view them easily from wherever they landed on the website. We extensively researched appropriate keywords for all of the service pages on the website and for all targeted suburbs. We also conducted comprehensive long-tail keyword research to find out which search terms that users used to find information related to Dr Naveen Somia’s main services. 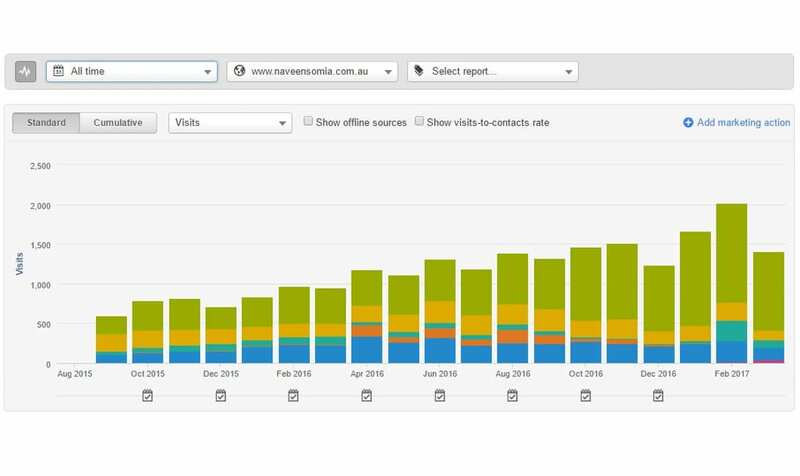 This comprehensive keyword research enabled us to devise a strategy to help Dr Naveen Somia target all the important suburbs in Sydney. The keyword research not only cover short-tail but also long-tail keywords for blog content development. We gradually built more pages for Dr Naveen Somia by adding, highly specific niche service pages with unique content. A website with 100 pages has greater traffic than a 10-page website, simply because it offers more topics that users could search for. We applied this strategy on Dr Naveen Somia’s service pages. Rewrite benefits-driven copy that places users at the centre. Our goal is to create a website that users can quickly find the information they need more easily. Ensuring Proper Indexation: Through the use of sitemaps, pagination, no-indexing tags and the reconciliation of all duplicate content, we were able to ensure the proper indexation of Dr Naveen Somia’s website. Individually crafted, uniquely written Meta Titles, Meta Descriptions, and Heading tags for all pages. By optimising the site’s title tags, meta description tags, heading tags and content to include targeted keywords, we were able to increase the search traffic. Improve the website’s load times for proper SEO on both desktop and mobile devices. This is one of the key elements to increase the website ranking performance. 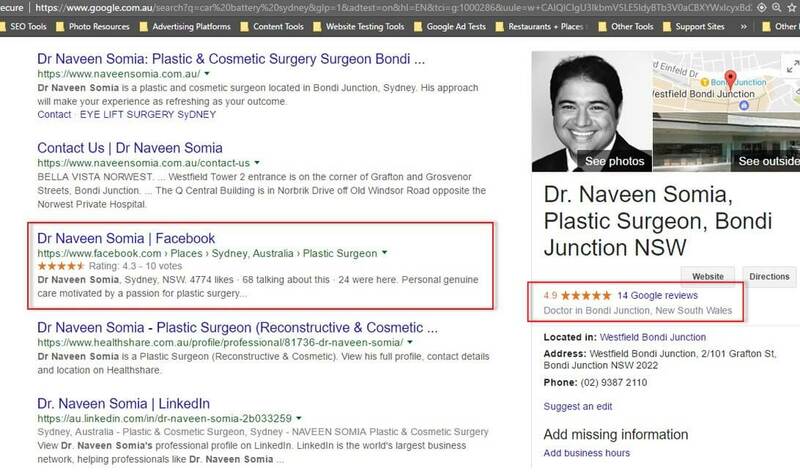 As part of our local SEO works, we assisted Dr Naveen Somia to reach out to their current and future clients asking for real testimonials for the website and to actively leave reviews on Dr Naveen Somia’ Google Plus Local account. We understand that Businesses with large volumes of positive reviews started ranking higher than those with few or negative reviews. Increased referral traffic: Dr Naveen Somia gaining referral traffic from not only Google Plus Local but Facebook and other local and industry review sites as well. Greater brand authority: When people read great reviews about Dr Naveen Somia brand, they’ll be more likely to start with a great impression of Dr Naveen Somia’s practice, and more likely to spread the word to their friends and family. Gained critical feedback opportunities: Sometimes doing business isn’t perfect. In both positive and negative reviews of Dr Naveen Somia’s operation, Dr Naveen Somia finds critical pieces of feedback that they can learn from and use to make their practice even better. 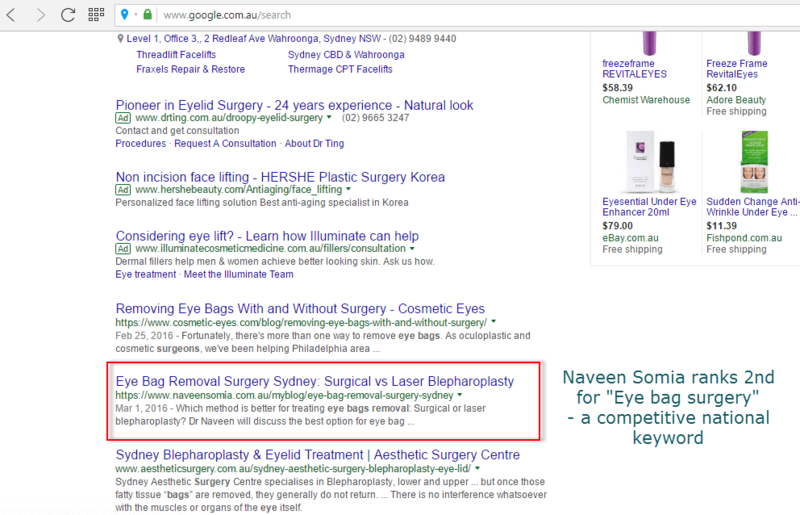 Figure 6: Authentic reviews help Dr Naveen Somia convert visitors to leads better. 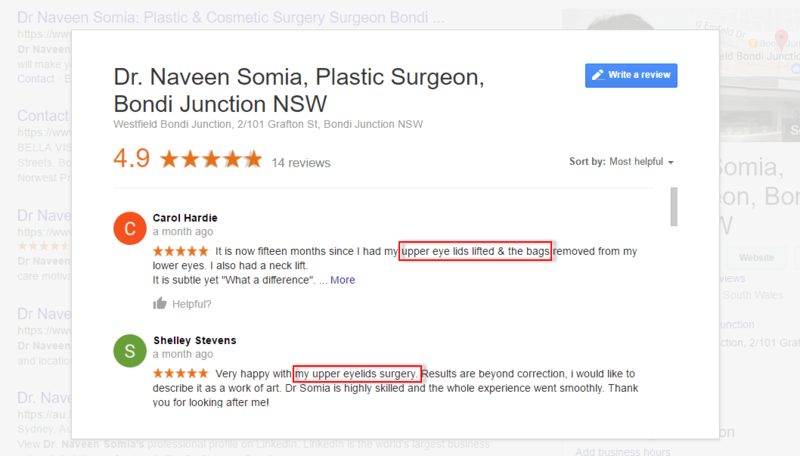 These reviews reaffirm the niche that Dr Naveen has specialised in and established himself as the expert in this type of cosmetic surgery works. After reviewing our research on Dr Naveen Somia’s target audience, their market persona, content voice and matching it to our extensive long-tail keyword research we proposed a content plan designed to promote Dr Naveen Somia as the industry leader. Through this analysis we uncovered additional opportunities for long tail search traffic. 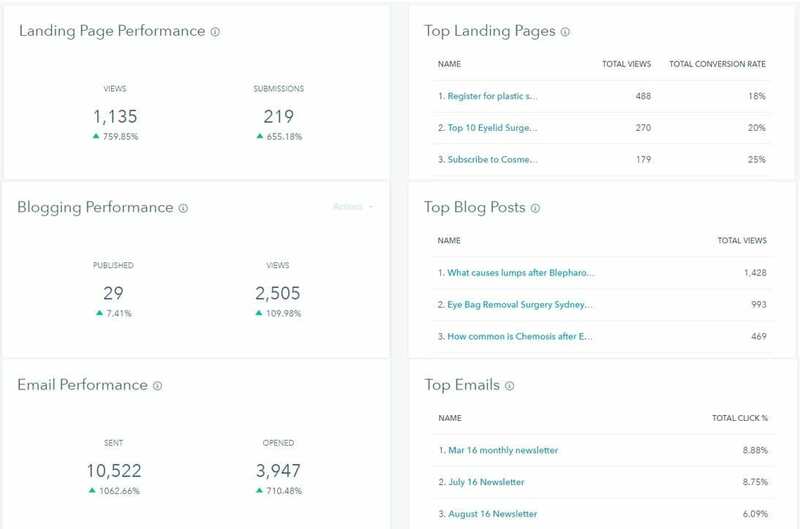 By using visitor surveys and analytical reports, we were able develop content topics that Dr Naveen Somia’s audience was interested in. This allowed us to better connect with existing audience members and generate more leads. To help increase engagement we taught Dr Naveen Somia how to fine tune their writing style to help encourage more commentary and questions from their visitors. 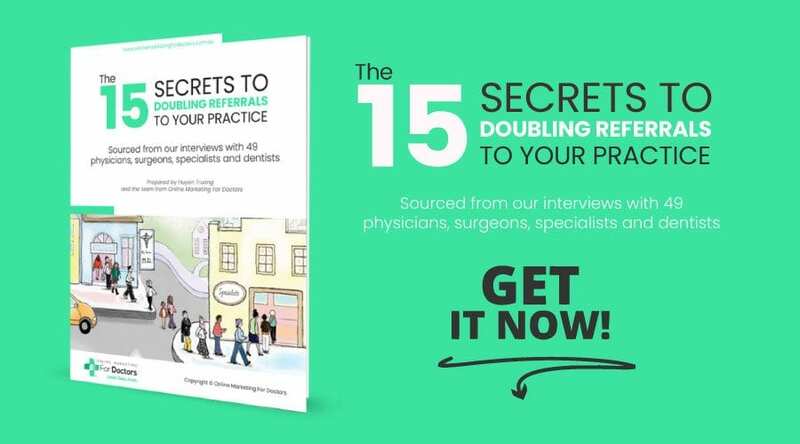 This strategy is a little known and yet super-efficient tactic that once set up, we use to help doctors get more patients through the door automatically without doing personal selling over and over again. Incoming links from other websites are a very important component of search engine optimisation. Poor quality links not only won’t increase your traffic or ranking, but they can also damage your domain and potentially attract a penalty from Google, or other search engines, if the site linked to has violated any webmaster guidelines. Outreach to relevant blogs to feature Dr Naveen Somia’s content and gain quality backlinks to the website. We started seeing obvious improvement after 3-4 months. The result is a great looking website that many people have commented on. 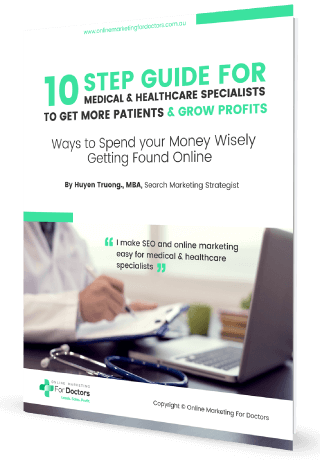 I highly recommend Online Marketing For Doctors. Ever since we started, Online Marketing For Doctors has helped increase the traffic by 400% after 3 months working for us. I wouldn’t hesitate to recommend Online Marketing for Doctors for fast, professional and outstanding customer service. It has only been a few weeks since my campaign was launched but already I am receiving more calls about my services. Highly recommended. I feel I can confidently re-employ this company to update or further optimise my website. Our experience with Huyen and the team at Result Driven SEO has been extraordinary and very professional. Get a Free Search Engine Optimization Assessment!